Frustrated with your Facebook organic reach? Facebook marketing has changed a lot over the past few years. The days are gone when you could throw up a Facebook post and then sit back and do nothing while tons of engagement filled your page. Now most brands are lucky if 10% of their fans see their posts in the news feed. At Facebook’s F8 conference in April, everyone finally learned how the news feed algorithm actually works. What’s the bottom line? Facebook wants marketers to step up their game. If you want to increase your organic reach on Facebook, I encourage you to be laser-focused on a proven strategy that works. What is organic reach on Facebook? It’s a measurement of how many folks see your organic content. In this post, I’m going to show you how to DOUBLE your Facebook organic reach. How do I know you can do this? Because we did it. Our Post Planner Facebook page grew 193% from January 1, 2015–December 31, 2015. 193% is a crazy number. At the time I’m writing this, we are at 379,000 fans. And yes, it’s 99% organic growth. Simply Measured, the most respected data analysis tool, analyzed the insane growth on our page. They recently completed their case study, and we compiled an ebook with their results. You can read more about that here—Case Study: How to Grow Your Facebook Page by 193%. Every tip in this post comes straight from our playbook. These are the strategies we used to more than double our own Facebook organic reach. We hope you use these strategies to blow up your own page, too. As a Facebook marketer, you’ve probably read a few articles about how to find the type of content that resonates with your audience. If your content doesn’t click, your fans aren’t going to engage with it. If your fans don’t engage with it, you’re going to struggle with growing your reach. But think about this—the success of your content goes beyond the value it provides. Let me explain what I mean. It’s important to choose the right mix of content and post it in the right order. In other words, you want to post the right content to the right audience at the right time. Josh Parkinson, Post Planner CEO, talks about this a lot in our Social Media Bootcamp training every week. On our page, we typically alternate between engaging photos (ie. funny pictures) and links. We find the engaging photos in Post Planner. Each time someone likes, comments, or shares that engaging content, they send a signal to Facebook that they want to see more of our content. This helps us get seen more in the news feed when we post the links that go back to our blog. Your fans are people, and people like to be entertained. They want you to show your personality. And, they want to know you’re real. Your fans want to see your personality, be entertained, and know you're real. For the past few months, we’ve also started tossing a Facebook Live video into the mix several times a week, too. It humanizes our brand and lets people see behind the scenes. Are you just posting links on your page? If so, you’re most likely not getting the engagement you want. Consider mixing up the variety of your content. Once you find the right formula for your audience, you’ll keep them coming back for more! Test your content often. Dig into your Facebook Insights like crazy. Get to know each page of your Insights inside and out. But don’t just read the data. Learn from it. Learn what each metric means and how to interpret the numbers. Most of all, learn how to use the info in your Insights to make data-driven decisions about your Facebook marketing. Be agile and quick to change your strategy as needed. The content that worked well last week might fall flat this week. A wise woman once said, “Amateurs guess, professionals know.” Take the guesswork out of your Facebook marketing by attacking your Insights like a pitbull! I’m not talking about just posting photos. As a sophisticated marketer, you already know the power of using photos on Facebook. According to Buzzsumo, Facebook posts with images get 2.3 times more engagement than those without images. I’m talking about using visual marketing to tell your story and to communicate your brand’s message. Visual marketing has become a force to be reckoned with on Facebook! It’s no longer an option to post visual content on Facebook. It’s become necessary for marketers to at least learn the basics of image creation. Pull tips from your blog posts and put them on images. Use powerful imagery to develop thought leadership in your niche. Use visual marketing as eye candy to stand out in the news feed. Choose any of the easy-to-use apps that are available, and you’ll be creating branded images in a minute or two. Here’s a post with the apps we like to use to create images: 13 tools for creating engaging Facebook images. This list is a good place to start if you’re looking for help with this! For example, here’s a simple image we created. It lists the five things we consider when creating viral quote images for Facebook. Nobody wants to go to a Facebook page, leave a comment, and then hear crickets. Instead, they want to feel special! Real people want to connect with other real people. They want to know you’re approachable. Most of all, they want to know you’re paying attention to your page. Once they know you’re listening, they’ll be more likely to visit your page and engage with your content again. When someone takes the time to interact with your page, acknowledge it. Even if all you do is “like” their comment, you’ve still acknowledged it. Facebook reach tip #4: Respond when your fans mention you. If you’re trying to increase your Facebook organic reach, this is important! It’s one of the cornerstones of our 193% page growth. Evergreen content is the content you create that never gets old. It stands the test of time, and it remains relevant and useful to your fans. Each time that content posts on your Facebook page, it reaches a new audience. At Post Planner, we have around 500 evergreen blog posts that rotate on our page. Not only do these posts consistently drive traffic to our website, but they continue to build thought leadership in our niche. There’s a recycle feature within the Post Planner app. We just click the recycle button, and then we don’t have to think about it again. Each time a piece of evergreen content posts, it goes to the bottom of the list to post again someday. If you have a library of evergreen content (even if it’s just 10 or 15 posts), start recycling on your Facebook page. It will contribute to your page growth and become a consistent source of website traffic for you! There are lots of opinions about the best posting times on Facebook. The way we see it at Post Planner, nobody knows the best times to post on your page except you. You are the only one with access to your Insights. Posting at the right time can mean the difference between going viral and not being noticed at all. Posting at the right time makes the difference between virality and not being noticed. The key here is to make this decision based on your data. If you have an online business and your audience is global, look at the times you’ve selected. Are there any holes that need to be filled? Some marketers suggest posting at peak times when people are on Facebook. Others suggest posting at non-peak times since there’s less competition in the news feed. We suggest that you test different times to see what works best on your page. Even if you only test this for a few weeks, you’ll start to see patterns emerge in your Insights. Remember, the best times to post on your page might not be the times when you are typically on Facebook. Be flexible and open to change. At Post Planner, we oftentimes post at 45 minutes past the hour. We do this because people have appointments and meetings during the day that begin at the top of the hour. In the few minutes before those meetings start, what do they do? Yep, they grab their phones. We want our post to be sitting there waiting for them in their news feed when that happens. So far, this posting strategy has worked well for us. We all have those go-to Facebook pages we count on for valuable info in our industry. They are the pages that always have something interesting to share, and they help us stay up-to-date about what’s going on. Make it your goal to be a valuable resource like that for your niche. Think about the problems your fans/users are facing. Be empathetic about their struggles. Solve their problems. Be the SOLUTION. Share other people’s content. By doing so, you show your audience that your focus is on them, not you. Share a piece of content that will be valuable to them (even if it doesn’t direct them back to your website or blog). Give away your knowledge. Don’t hold back. Give people a reason to like your page and engage with your content. Share your secret sauce. Doing this will establish thought leadership and exude confidence! If your audience loses interest in your page, you’ll lose your ability to increase your Facebook organic reach. It’s a tough pill to swallow when you’re working hard to post high quality content consistently. That’s why it’s so important to plan your content in advance. If you plan and schedule your content ahead of time, you can be more strategic about each piece of content you post. What kind of content can you curate or create for each one of those categories? Prepare and plan that content in advance. In doing so, you’ll always be confident in knowing that the right piece of content is going out at the right time—consistently. You’ll also avoid the stress of trying to find content to post at the last minute. Like I mentioned at the beginning, Simply Measured’s case study shows that our page grew 193% in 2015. 99% of that growth was organic. But even more interesting was learning that 65% of that growth was from October–December. What did we change during those last three months of 2015? We increased our posting frequency by 29%. During the first nine months of 2015, we averaged 247 posts per month. But during October–December, we averaged 319 posts per month. The last thing a Facebook marketer wants is for fans to hide their posts or unlike their page. But what if your fans are craving more from you? What if you could increase your Facebook organic reach by simply posting more frequently? Increasing your Facebook posting frequency can increase your reach. At Post Planner, it was a risk we were willing to take, and it paid off. I’d like encourage you to test this strategy on your own page. Watch your Insights along the way. Anytime you can post audience-tested (proven) content on Facebook, you’ll be setting yourself up for success. If a piece of content has already been successful on Facebook, then chances are, it will be successful again. This theory can be applied to different types of content. For example, look in your Insights to see which blog posts have gotten the most reach. Those are posts that resonate with your audience. Be sure to post those again. All the content within Post Planner is audience-tested and ranked with our 5-star rating system. Whether you’re choosing a funny picture or a trending article in your niche, you can look at the star rating to see how likely it is that it will perform well on your page. It’s predictive content. It takes even more of the guesswork out of trying to figure out what content will work on your page and what content won’t. Increasing Facebook organic reach has gotten tricky—but it’s definitely still do-able! No matter how you look at it, you’ll need to be savvy and agile to get seen more in the news feed and noticed by your fans. The tips in this post are the exact things we did to increase our Facebook organic reach 193% in 2015. We hope you’ll take these strategies and apply them to your own page! And we’d love to hear about your Facebook journey and your results along the way. 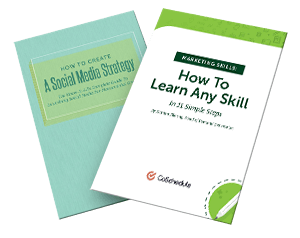 If you’d like to get more detailed info about what you can do to double your Facebook organic reach, consider reading our free ebook. We put it together using the case study data provided by Simply Measured. 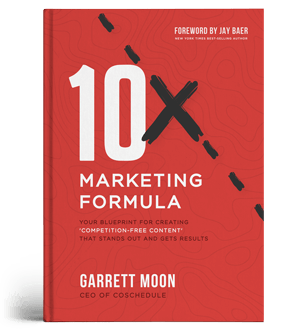 You can grab your copy at 10 Data-Driven Ways to Grow Your Facebook Page by 193%. Thank you for reading my post and happy Facebooking! Diana is a USC graduate, tech entrepreneur and member of the Apple Consultants Network. She has written 4,200+ blog posts around the blogosphere. She loves innovation, creativity and grande Java Chips. She's also a frequent user of the force. Connect with her on Twitter at @adamsconsulting or email her at adamsconsulting4@gmail.com.